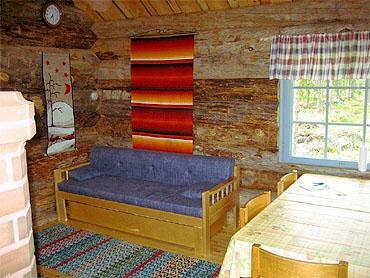 Kelokettu log cabin, built in 2006, is located by a river, which is an ideal spot for fishing. 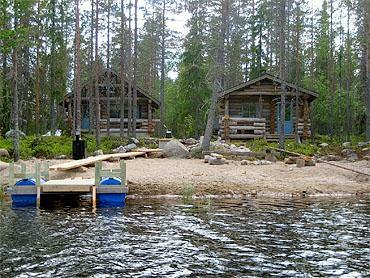 More fishing places can be found by taking the cabins boat along the river to lakes Laukkujärvi and Mäntyjärvi. Price includes 3 net fishing licences. The beach is a bit rocky. 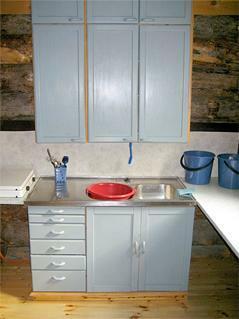 Cabin has living room, kitchen, loft and terrace as well as a sauna with dressing room by the shore. Dock and boat, smoke oven. Cold cellar pit. Water fetched from a well. Water is not examined every year, so boiling the drinking water is recommended. 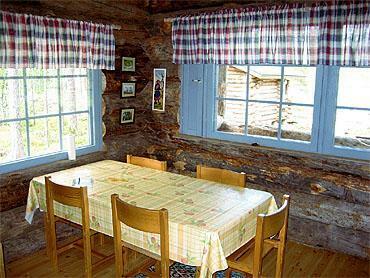 Neighbour cabin is 10477 Kettula 350 m. Korouoma 20 min drive, Posio center 30 min, Ranua Zoo 60 min. 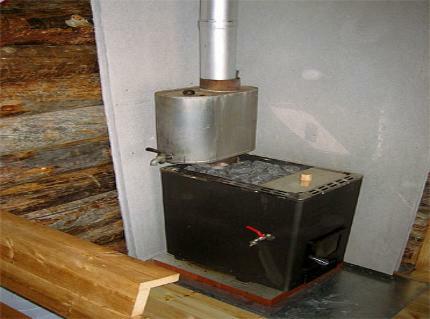 Excellent berry picking and hunting possibilities begin from the doorstep of the cabin. Also the canoeing possibilities are good. Possibility to open the road with an extra charge (please contact cabin caretaker). Cabin can be reached by car during the summer. 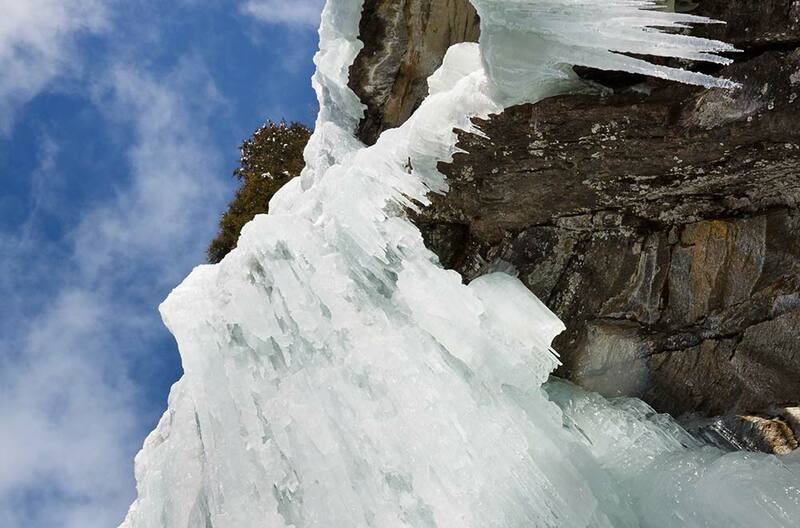 In winter distance approx. 2,1 km.